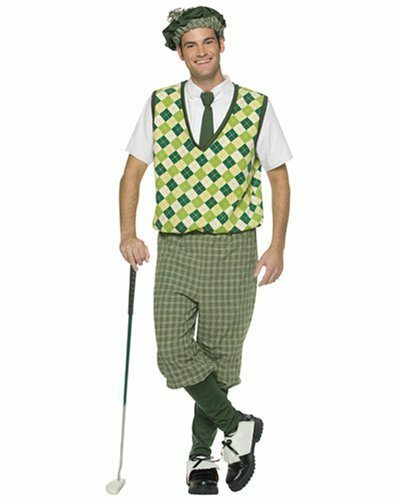 Not everyone considers golf to be an actual sport, and not every player holds the same respect for their golf attire as they do for the actual game of golf. If you’re just starting to play golf or if you’d like to be a better dressed golfer, here are some tips from the reigning 2012 FedEx Cup winner Brand Snedeker. Golf isn’t a terribly physically demanding sport like football or soccer, so it’s not expected that you’ll do a lot of running around and sweating. For that reason, you always want to make sure that you have a neat appearance while playing golf. Since a shirt is often the focal point of an entire outfit, you’ll want your golf shirt to fit well, always remain tucked in and be ironed as well. Having the knowledge that you look good can do wonders for your self-esteem, which can do wonders for your golf game. If you’ll be playing at a golf club, check the dress code before you decide on a golf shirt for the game. Private golf clubs tend to be the most strict when it comes to attire. It’s not unusual for players to be forbidden from wearing jerseys or t-shirts, which should never be worn while playing golf in the first place. Men’s golf shirts should always be buttoned up. If the weather is cool, all of the buttons should be buttoned up, even if you’re wearing a sports jacket or a cardigan sweater. It’s ok if you unbutton one or two buttons during the warmer months. If you’re unsure what you should wear during colder weather, take note of the famous older golf players for tips on how to look sophisticated and stay warm at the same time. Golf players aren’t afraid to wear bright and wild colors, so you shouldn’t be either. That doesn’t give you free rein to wear colors that clash and threaten to blind the other players. Instead, opt for contrasting colors to help enhance the color of your golf shirt. A bright shirt calls for a more subtle or neutral color, like black or navy. If you’re ever invited to play at someone else’s golf club, keep away from headlight-bright golf shirts. You’re practically a guest in someone’s home, so treat them and their eyes with respect. A more conservative and subdued golf shirt will suffice if you’ll be teeing off on someone else’s green, with a public figure or your boss. A good example of such an outfit is a light blue golf shirt and a pair of rich brown khakis. You don’t have to sacrifice your personal style, but you also don’t want to unintentionally make a fool of yourself. Sometimes it’s a good idea to bring an extra golf shirt or dress shirt in your bag in case you should spill something on your first shirt or if you decide to eat in a clubhouse with a dress code. Again, check beforehand to see what the dress code is for any clubhouses you’ll be visiting. Even though you might feel odd wearing a golf shirt at first, with a little practice and experimentation you’ll get the hang of it and might even start to look forward to dressing for a game of golf.